It's very sad that we can have a thread that says "Today's mass shooting" and have it be relevant daily. It is one of the wonderful ways that america is truly exceptional, and as such should be celebrated. Just like our maternal mortality rate. These things make america the envy of the entire world! And that the attitude is always there is simply no way to stop it happening from a certain section of the USA. One side proposes universal background checks, registration, better reporting into criminal background databases, temporary confiscation from domestic abuse suspects pending legal proceedings, restrictions on high-capacity magazines, that sort of thing. The other side proposes MORE GUNS, EVERYWHERE!!!! as the best solution. I am totally sure the two concepts could be equally effective. All Americans want less shootings, we just disagree on how to achieve that goal. Yes. Some of us think less bullets in the air means less people shot. Republicans, however, think that we need to saturate our atmosphere will bullets. As long as the right people get shot, many americans are happy. If they are black teens thinking they are entitled to walk the streets of their own neighborhood that is exactly the kind of person who needs to be shot according to many americans. I think there's more to it than that, otherwise there would be more of a debate on how well initiatives to reduce shootings were actually working. I think that all Americans want less shootings, but disagree on what cost they are willing to incur in order to achieve that benefit; in particular, a very vocal segment believe that increased controls on gun ownership are too high a price to pay. Some of us think less bullets in the air means less people shot. It sounds better to my ear as well, but that's probably because the prescription was drummed into me, and yet native speakers of English will use less for countable objects and there is no real reason why they shouldn't do so. the now-standard pedantry about less/fewer is in fact one of the many false "rules" that have recently precipitated out of the over-saturated solution of linguistic ignorance where most usage advice is brewed. And Merriam Webster gives some of the background here. 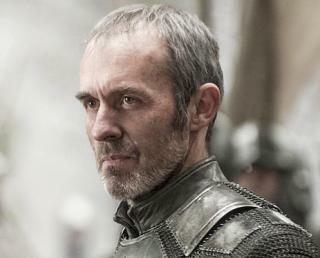 In fact Stannis was wrong about many things, but he believed he was right, and he sacrificed everything for what he thought was right. Maybe there is a lesson for everyone there even in these gun threads. That article seems to be arguing that because a grammatical rule was only instituted in 1770 and has been accepted ever since, it can be safely ignored? Well, Alfred spoke a very different English to the one I speak and, and this is the kicker, all grammatical rules are arbitrary. I@m sticking with the arbitrary grammatical rule that has been in use for 250 years and not falling back on 'well, they used a different form 300 years ago'. Last edited by 3point14; 1st February 2018 at 08:50 AM. the documentary showed way more, piling out and shooting at the vehicle and the couple. They were all desperate to fire at the couple with no one taking control and attempting any sort of negotiation, containment and arrest. I am not sure I agree with that. Neither do I. I should have used a sarcasm tag. My bad. Agreed. I posted in haste. Please, may you find it in your heart of hearts to ever forgive me. Rubbish shooting, only four cop cars. Ya, that's what it is. Black gangbangers are shooting each other daily (see LA times daily shootings listing) because they are black. Got it. I assume this is what you meant? Desperate to shoot someone? I agree we have a problem in this country. Perhaps if we can get a hold of ourselves and think - I mean how many people do you think really are desperate to shoot someone? Is that what you really think or are you letting emotions do the talking? Not trying to pick on anyone but there is no way to have a reasonable discussion here. Everyone is either a white racist or desperate to shoot someone, or both. Every time you attack the person you are trying to convince, the wall between you gets bigger. They may defend something they wouldn't normally defend just to prove you are wrong. Not desperate, as in will go and find someone to shoot, but is quietly confident if anyone breaks into their house, or they see a robbery, they will not hesitate and they will shoot. I see that as only a small step away from actively finding someone specifically to shoot. Since in US self defence is justified at a far lower level than in the UK (based on actual examples, rather than the wording of the law) Americans treat the gun as if they only have a hammer in their tool box and it is needed for every job. Is anyone else here on Nextdoor.com? Its a sort of a community-based web site where you can enter your address and then interact with and see updates from other people in your neighborhood, adjacent neighborhoods and the community, depending on settings. It's sometimes a useful thing for learning about construction projects and other useful things to know. It also has a LOT of gossip and paranoia. I gotta say, there are any number of people in my area who really do seem to be itching to shoot somebody. They want to take their guns on dog walks, so they can shoot stray dogs that might be a danger. Or shoot coyotes that might be a danger. They greet door-to-door salespeople with guns. They brag about having a gun in every room, within reach, in their cars, purses, backpacks. They'll go on and on anytime any sort of crime is reported. They just really seem to want to shoot someone. Last edited by crescent; 1st February 2018 at 02:29 PM. Today's shooting, and all previous and future shootings, are brought to you by the NRA and GOP. Only wounded in todays school shooting. But then, the shooter was only 12, not had enough target practice yet. 12 year old girl. Amazing. She needs more training from the NRA. The initial fight, which lasted almost two hours, broke out on the city's southern outskirts where migrants had been queuing for food handouts. Around 100 Eritreans and some 30 Afghans were caught up in the violence. It started when an Afghan fired shots, AFP said. Which (I hope) is not a situation that would be likely anywhere in the USA. From the way you have word this, it seems you may have a mistaken impression of the nature of the pursuit up to the point where it ended and all the police began shooting. Based on information provided by one of Farook's neighbors, two plainclothes investigators went to the perpetrators' Redlands home on North Center Street for surveillance shortly before 3:00 p.m., about four hours after the initial attack at the Inland Regional Center had begun. They spotted Farook's vehicle leaving the residence and gave chase onto the freeway at 3:08:19 p.m. Officers from other agencies joined the pursuit shortly afterward. At least one fake explosive*—*a metal pipe stuffed with cloth made to resemble a pipe bomb*—*was thrown at the police during the pursuit. The SUV exited the freeway onto North Tippecanoe Avenue and briefly stopped at a stoplight, where a pursuing officer observed the perpetrators putting on tactical vests and equipping themselves with rifles. The SUV then continued onward onto East San Bernardino Avenue and entered a suburban area, where the shooter in the backseat, identified as Malik, began firing at police through the back window at 3:08:43 p.m. Eventually, at 3:09:22 p.m., the SUV stopped in a neighborhood about 1.7 miles (2.7 km) away from the scene of the initial attack. Malik opened the side passenger door and shot at the first police vehicle to stop, which was about 210 feet (64 m) away from the SUV. Farook exited out of the driver's front door, stood between the two open doors, and opened fire on the same vehicle. As more officers converged, Farook walked across the street towards some homes while continuing to fire, pinning officers behind their squad cars. He intended to flank the sheriff's deputy who had first stopped. Realizing this, several officers repositioned themselves and focused their gunfire on Farook. One police officer eventually shot Farook in the right side, allowing others to flank and shoot at him. Farook fell to the ground, shot several times in the legs and upper body. He fired at the police once with a handgun as he lay wounded on the ground, injuring an officer before the gun malfunctioned. Farook was shot again several times and killed. His body was handcuffed and positioned to lie face-down afterwards. Officers then fired on the SUV as Malik continued to shoot at them. During this exchange of gunfire, a second police officer was wounded. Using a police cruiser as cover, officers fired into the back of the SUV while rescuing the wounded officer and a second one. At 3:14:53 p.m., Malik was killed by several bullets that struck her in the body and head. The gunfire lasted for around five minutes before both perpetrators were killed. Judging from this narrative, the police very definitely attempted containment, but likely were unable to commence negotiation because they were unable to make themselves heard over the sound of the suspects' gunfire aimed at them, and it seems that the only thing they were really desperate to do was defend themselves. Nothing to see here - it was just an accident! I know a lot of people like this and I just shake my head. None of the folks I know have ever needed a gun for self defense, and yet they feel naked without it. So, while it appears the need is imaginary, the fear is real. From that report:Which (I hope) is not a situation that would be likely anywhere in the USA. The hurricane in Puerto Rico is not a hypothetical event in the future. OK, San Bernadino was a bad example, I went by what I saw in the documentary, which managed to miss out just how often they had attacked the police prior to the stop. I'm on NextDoor, and when we were having serious coyote problems (one of our doxies was almost snatched) starting a year or so ago, I was amazed at the number of folks wanting to go all vigilante on the coyote's asses. Interestingly, at a special community meeting on the issue, our local animal control officer said killing coyotes will not solve anything. Because all you've done is open up a niche for another coyote (pack) to move in. Another foreign one. Hate crime this time. Of course not, giving out food is frequently illegal. Which in some jurisdictions would make the shooting legal. 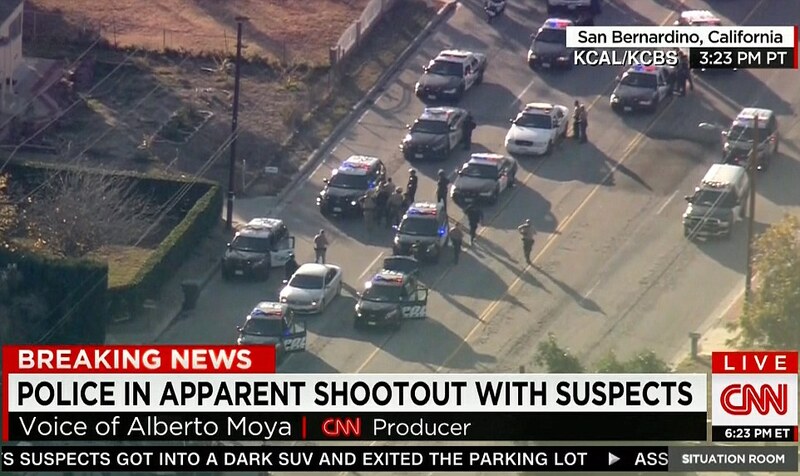 Four police officers and one civilian shot, in addition to the suspect, who was killed by law enforcement. Three of the LE officers survived, one did not. No word on how severely the civilian was wounded or if the civilian was wounded by the (now deceased) suspect or was unintentionally wounded by LE gunfire. An El Paso County sheriff's deputy was killed in the line of duty Monday after a shooting that also left three other law enforcement officers wounded. According to the Colorado Springs Police Chief Peter Carey, the incident began on Monday afternoon near Galley Road and Murray Boulevard as a motor vehicle theft investigation, and turned into a chase with shots being fired, injuring a civilian. One suspect is dead, according to Carey. There are no other suspects sought. This is already the third law enforcement officer killed in the state of Colorado in 2018. We're off to a very bad start. So far in 2018, there have been 8 line of duty deaths of police officers nationwide; 6 by gunshots, 2 traffic-related. By contrast, 15 unarmed suspects were shot to death by police; and 29 suspects armed with knives and other non-firearm weapons, or where the weapon was unknown (as in, not known for sure if they were even armed); were shot to death. 56 suspects carrying or armed with a firearm were also shot to death; how many of these were a clear and present threat, and how many were legally carrying and non-threatening like Philando Castile or Erik Scott, is not known. Even giving the police the benefit of the doubt on the firearms, that is a whole lot of people who did not need to be shot and killed. Bump for Florida school shooting and NSA shooting. Love a bit of NSA action!